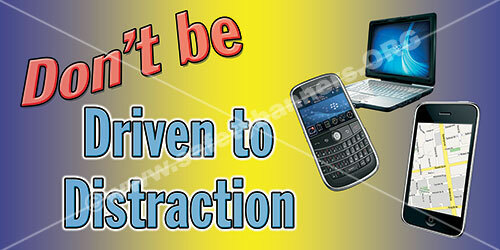 Distracted drivers are 4 times more likely to be in an accident during cell phone usage. 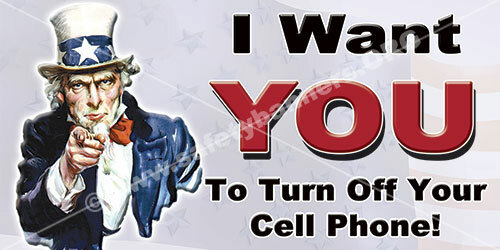 Our Cell Phone Safety Banners are some of our better selling banners. All industrial facilities want their employees to be safe when the are on the road both at work and in their personal lives. While no state has a law prohibiting all cell phone use while driving, employers are putting policies in place banning the use of handheld and hands-free devices. Driving and cell phone conversations both require a great deal of thought. When doing them at the same time, your brain is unable to do either well. For example, it's nearly impossible to read a book and have a phone conversation. While driving, this often results in crashes due to delayed braking times and not seeing traffic signals. 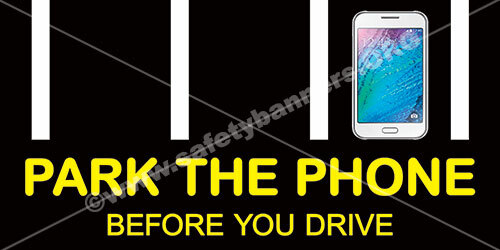 You are four times as likely to crash when using a cell phone while driving. Employers are being held liable up to $25 million for employee crashes, even when employees use hands-free devices. 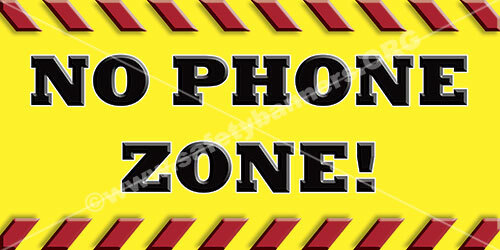 Use safety banners to keep cell phone safety in front of your workers.